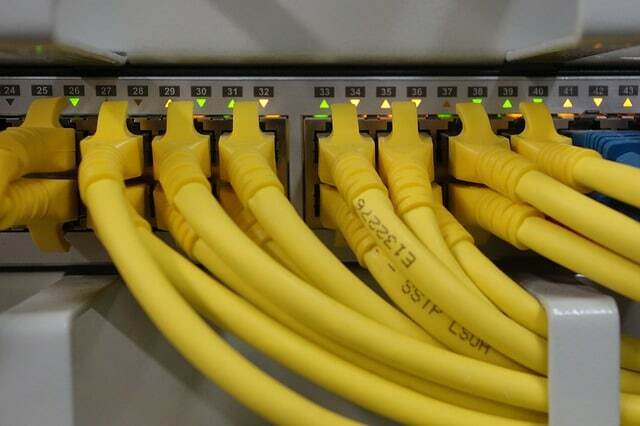 NTM's speciality is calculating the arrangement of devices on each local area network; it then links the subnets to build a diagram of interconnected servers, routers and other computer devices. The result is an accurate map that makes visual sense. My thoughts are firstly, this infrastructure detail needs knowing, secondly, it's fun and instructive to use Visio for studying the way my servers are interlinked. 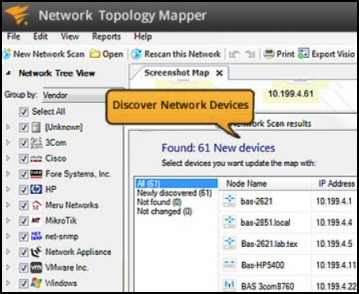 NTM's network discovery process automatically learns about each and every device on the network. The underlying identification process employs SNMP v1 to v3, WMI, VMware, and good old ping to scan the IP address and discover the individual nodes. The result is that NTM finds all your devices from routers and switches, to servers and desktops; in addition, scanning for printers, wireless APs and VoIP phones is no problem. Quick reports for any server. Quick report for all nodes. Port usage reports for hubs and switches. Microsoft Office Visio diagrams revealing the network's anatomy. Another time-saving feature is the way NTM automatically updates the information, for example, if switches are added, or routers changed on the network, then the Visio diagram reflects the new network geography. With this network mapping utility you can maintain an up-to-date network diagram to satisfy PCI (Payment Card Industry) data security standards. 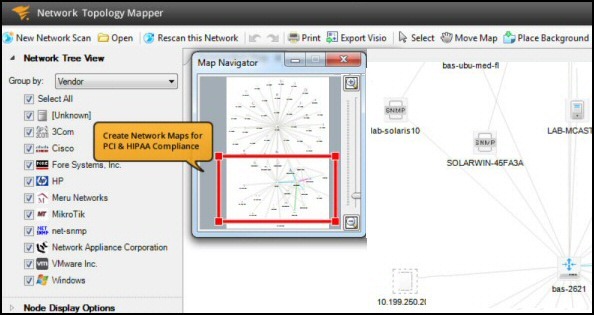 In addition, SolarWinds NTM maps provide automatic controls for Sarbanes-Oxley, IPAA, GLBA, US FDA 21 CFR Part 11 and other regulations that specify preventive and detective controls. You can also use scheduled scans to generate network topology diagrams that show changes from the last scan. In this way you can comply with PCI, SOX, or HIPAA's current audit request, while preserving last month's audit results for comparison and evaluation. 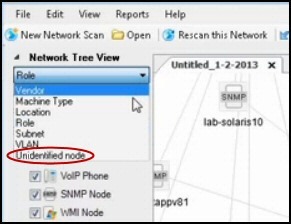 Here is a good way to evaluate SolarWinds Network Topology Mapper. There are numerous ways of grouping your network devices, by subnet is obvious, but you can also map by machine type or even vendor. I couldn't leave this review of NTM without stressing how fun and satisfying it is to display network maps by different roles, see screenshot to the right. Another worthwhile, and fun, test of your skill is to research the connections to any 'unidentified node'. Operating System: Windows XP to Windows 8, Windows Server 2003 to 2012. .Net Framework – best to install both Version 3.5 SP1 and Version 4.0. Microsoft Office Visio 2003-2013, SolarWinds Orion Network Atlas, PNG, PDF. Nobody ever admits to this, but if you take this challenge and deploy NTM you always discover at least one device that you had forgotten about, or did not know existed. 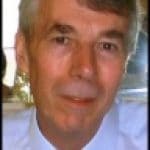 Another bonus of NTM is that you don't have to be an expert on SNMP. The wizard takes care of all the SNMP stuff under the covers. My final tip is look out for 'Add a Seed Device', the idea is that once you specify a device at the center of your network, it will discover the other nodes easily. SolarWinds has stopped selling LanSurveyor. Although LanSurveyor was a useful tool for creating diagrams showing how devices were connected, its underlying architecture made it difficult to update and support. 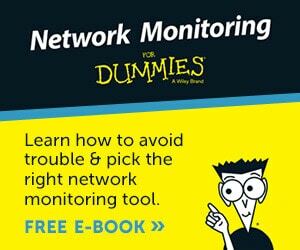 Consequently, SolarWinds' felt it was time to build a better tool specifically for network topology mapping – enter NTM. With this Network Topology Mapper you can see the arrangement of switches, routers and servers on each of your local area networks. Furthermore, exporting the results into Microsoft Visio will give you a clear picture of the entire network. Here are my recommendations for additional handy utilities. Many of these downloads are free, while others are fully-functional, but time limited. 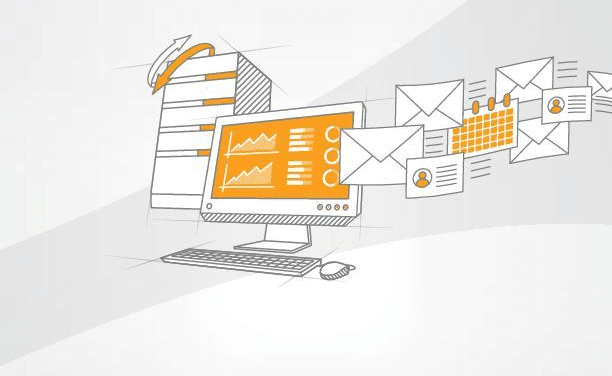 SolarWinds are happy to provide you with a free specialist tool, which is ideal for testing, and then supply a more comprehensive suite for larger organizations. To let you into a secret, for small networks, the free tool is all you’ll ever need.